I’m a big social media guy. I’m pretty plugged in to Facebook and Twitter, in particular, and sometimes with that, I’ll have a post that really resonates with people. This particular post is the one that probably resonated the most. This really connected with people, and not just Methodists. There seems to be a desire sometimes to separate and divide the body of Christ, when it’s not at all necessary. And, in situations like this, I really get annoyed about being looked at as “less than” Christian or not fully Christian. I remember when I returned to the Methodist church after a couple of years in other traditions, a couple of friends pulled me aside and said that they were really worried about me. They just couldn’t understand why I would choose to enter such a tradition as Methodist! Why would I choose to be a part of a denomination that, in their mind, wasn’t fully Christian! But, that’s sort of how it’s always been. The very word Methodist was a slur against John Wesley and his followers. They lived such a “methodical” and holy lifestyle; people would mock them by calling them “Methodists.” So, Wesley took the name and embraced it, naming his movement after this slur. Why is that the case? I’m not sure. Perhaps it’s the fact that Methodists “don’t immerse” (actually at Asbury we immersed almost 40 people last year and I have about 7 immersions this coming Sunday). Or perhaps it’s because we are often seen as pretty open minded and willing to have a conversation. There could be a million reasons why. But, here is the thing. I’ve been a part of many different churches of different denominations. I enjoyed most of my time in each one. I made the choice to be a part of this one. As someone who really does love and adhere to Holy Scripture, it really does bother me when I’m seen as a “less than” Christian. There is much be admired about each denomination of which I’ve been a part. I love the emphasis that our Baptist friends place upon scripture. I think that Presbyterian systematic theology is beautiful. I love the freedom of worship found among many of our Charismatic friends. And the centuries-old liturgies of our Catholic and Anglican friends always move me. But, I am a Wesleyan. 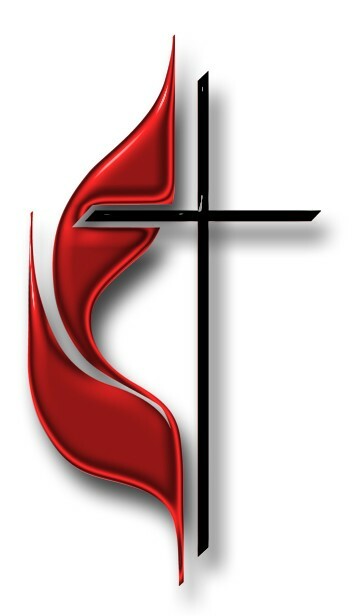 I am member of the United Methodist denomination. While we are far from perfect (as is every single denomination) there are many, many reasons why I chose to be a part of this tradition. One of the misconceptions about Methodists and fellow Wesleyans is that we don’t “believe” the Bible. I actually had a friend ask me if we Methodists used the same Bible as they did. I said, jokingly, that no, we had our own special Methodist Bible. The Latin phrase means “a man of one book.” A man of the Bible. The Methodists were often called “bible-bigots” for our deep love and use of the scripture. May I have a different interpretation of some passages than others do? Yes. But, don’t we all? Don’t we each have different interpretations at times? But, please don’t think that I “don’t believe in the Bible.” It is God’s inspired and written word, which reveals to us God’s holiness, His grace, His heart, our sin, His salvation, and His return and victory. Yes. I believe in the Bible. And that’s one reason why I’m a Methodist. There is nothing sweeter than seeing someone make that first-time decision to place their trust in Christ and His mercy and grace. As a Wesleyan, there is not a single thing, moment, conversation, event, anything that I will not use as a means to show God’s grace and love. We are driven to repentance by the kindness of Christ. My gracefulness and emphasis on mercy is all about seeing more and more people come to know the saving knowledge of Jesus Christ. My job is to help save souls. And that’s one reason why I’m a Methodist. John Wesley didn’t write books of theology. He wrote sermons. He was a practical man, teaching and preaching a practical faith. We are a practical people. I prize the mission of the church above all things. I want to meet people where they are. I am not focused on the ritual, or the mode, or the tradition. I’m focused on Jesus above all else. That’s who Wesley was and that’s at the heart of our DNA. Practical people trying to impact others with the Gospel. More in love with Jesus than with anything else. For instance, when you join our church from another Christian denomination, you know what? We accept your baptism. You know why? Because we know we aren’t the only church. There are lots of churches doing lots of good work all around. They are on our team. We work together. We are on the same side. That’s who we are and what we believe. And I love that. We are practical. And that’s one reason why I’m a Methodist. And since we have all sinned, we are all in need of grace. Why am I Methodist? That key word. Grace. God give us grace after grace after grace. Our entire walk with God is based upon that. We have to know that He loves us based off what He has done, not upon what we have done. It’s grace. And our walk with each other must be the same. If I am sinful and in need of grace, then so are you. And if I want God to give me grace, then I must, must, must give you grace. We are all just beggars looking for bread. We all need grace. We all must give grace to each other, as God has given us grace. He understood that he was sinful and in need of grace. If he, a man of God, needed grace, we must all need grace. It’s only grace that changes lives. It’s only grace that changes the world. It is grace that leads us to salvation. And it is grace that saves us. We are a graceful people. And that’s one reason why I’m a Methodist. We are called to be holy. Salvation is not simply a one time conversion experience (justification) but an ongoing, lifetime experience where we grow closer and closer to God and are renewed by the power of the shed blood of Christ, and the Holy Spirit. By His grace we are made more faithful each day (sanctification). Now holiness is not perfection, we will always remain imperfect. But it is this: we are called to be different. We are not called to remain the same. God’s grace must, must, must work on us, change us, renew us restore us. We are called to be more faithful today than we were yesterday. We are called to be holy. We are called to be faithful. We are called to be different. The Christian experience is not just a one time conversion experience, but it is a lifetime of God’s grace at work in our life, helping us to be more and more faithful. We are saved through grace. And God’s grace continues to work on us, until we draw our final breath. I believe passionately in growing daily in God’s grace. I believe in holiness. And that’s one reason why I’m a Methodist. So, I hope this helps you understand that, yes, we are as Christian as you, We love the Bible and love Jesus and want to see the entire world come to know Him as Lord. I love the Body of Christ that is bigger than any one church or denomination. But, I love my denomination. Warts and all. And that’s why I’m a Methodist. I find your ”apologetic” statement on being methodists rather curious. I see it from the totally opposite side. My viewpoint has been that those in the methodist tradition in fact feel and show that they are better than others. The way they protect tthe ”elders” fom discipline. Even when they disregard employees, youth workers, Childern’s ministers, and others. They show a disdain for other ”ordained” Pastors and give no respect to them. Oh they will use them for the skill set and then throw them aside. The conferences and bishops and districts do nothing to help. Rather they turn a blind eye, and this has led to an attitude that says, we are better than all others. What is most irratating is no one in the denomination will say it outloud, for fear of reprisal. So if you want to be profound, write about that. That is what the great reformers did, they wrote about what the ills of the church are, not write about feeling sorry for yourself (methodist). ”First do no harm” J. Wesley. I feel sad reading this criticism. And I’m not a defender of Methodists. I’ve belonged to many churches in many denominations. We moved so many times when I was young, and I’ve moved quite often as an adult. I’ve seen the good, the bad and the ugly. They are there in ANY denomination. I’m sorry anyone feels they have to defend their church choice to other Christians!! We are all one body in Christ. We are all different in how we express ourselves and in what ministers to our hearts. The diversity of denominations is not about one being “more” Christian than another. God made us DIFFERENT from one another for a reason and it’s right that we should worship differently from one another! Taking issue among ourselves with those differences separates us from the fullness of God’s love. I was actually raised Methodist. My Dad pastored EUB and Methodist churches. (My Mom’s background was Nazarene) My parents remained Methodist their entire lives. The church they attended during their last 30+ years of life was about as good as it gets in any denomination. My husband and I and our kids were always included there even though our membership stayed with more conservative churches. We’d always go to their Bible School as well as to OUR Bible School, participated in their special programs and in our own. Many times we went to the folks early service and back to our own later worship. Most of my adult life I’ve been in Southern Baptist or Independent Bible churches. I’m settled in for my remaining years with Assembly of God. I chose it, not because it’s “exactly” what I believe, but because this particular little congregation is loving, nurturing and accepting. We can disagree on the small things and agree on loving and seeking God. How can any of us say we love Jesus if we can’t love other Christians? We’re not Methodists/Baptists/Catholic/Whatever. We are Christians. Hey William, I put in this in another place by accident, I wanted to make sure you saw it – William I am so sorry that’s been your experience. I can assure you that is not my feeling, not the feelings of what I deem to be the best of our tradition. Believe me, there are many, many things about our tradition (and our institution) that are not as they should be. I agree there are many problems and many folks, lay, ordained, etc, that are missing the mark. While I can’t speak for the whole of the church, as an ordained pastor, I am truly sorry for any bad experiences that you’ve had. My main reason for writing this is because there are lots to thing focusing on what’s wrong the church, I was trying to highlight some things that I think good about it. Amen Brother! I think you hit the nail right on the head! A great explanation of the Methodist church!!! Hello Rev. Andy!!! I’m a Methodist from Iowa–can I print this and let members of our Bible study read it? This is a really good personal insight about being a Methodist. God bless!!! GOOD WORK ANDY. I am one of the old-timers now, always evangelical, and often when presenting the evangelical viewpoint, many of ours and more of “theirs” did not fully understand what I was talking about. My experience has proven over and again that we have injured many potentially great preachers and pastors with unreasonable “rules” of our society. I hear one of your repliers resonating that deep within. I too am sorry if and when we have hurt you. I too, have felt that pain often, when some of the upper-brothers, a.k.a., “good-old-boys society would suggest that I thought I was “better” than they were. My CALL told me I was better than many; but I confess, there were some I promised God I would not use as roll models. Wesley, and many of our real roll models share the simplicity of, as you say, grace. That is why it is amazing. God’s Riches At Christ’s Expense. You, my young friend have hit the proverbial NAIL on the traditional HEAD, and for the future of our great church, we may be called to battle. It’s a battlefield brother, not a recreation room. I love all the genuine Christians, I heard my friend, Mike Murdock say: “If you want something you have never had, you may have to do something you’ve never done.” I hasten to add the em PHAS-is on the right syl LIB al. DO! Thanks for your fuel and your faith, write on! Well done, Andy. There’s no denying some of our shortcomings, but if we focus solely on those, we end up making ourselves out to be completely broken and working on a comeback. I think you nailed it: We have strong roots, strong principles, and meet needs and preferred styles that no other denomination can meet. If we spent more time on these things, the problems would not only stand out more, but perhaps the folks with the problem would focus on solutions to begin with! I also chosen Methodist church for my future. Studied lot about other denominations,but I’m from Roman Catholic background. Now waiting for the parents permssion.